Cloud accounting, otherwise known as “online accounting,” works similar to standard accounting software. Cloud accounting software in Singapore, such as Kingdee K3, runs on servers as opposed to computer installation. Therefore, you gain access via the Internet by using your web browser. Simply put, with Kingdee K3, your data is stored securely and processed on servers in the cloud. Cloud Accounting SoftwareFor cloud accounting software in Singapore, Kingdee K3 is a superior choice. This comprehensive and sophisticated ERP system delivers flawless solutions for a variety of applications, such as human resources, financial accounting, production, cost management, and supply chain management. With fully integrated functional modules, Kingdee K3 is ideal for a variety of purposes. Open – For cloud accounting software in Singapore, Kingdee K3 is suitable for dynamic development. 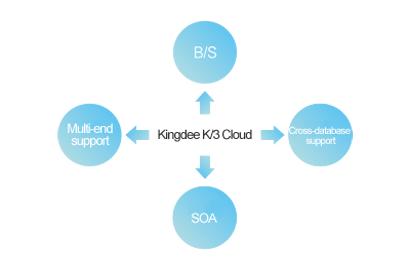 Open Kingdee K3 is a multi-accounting system, as well as a business-process design model, providing an open management platform to enterprises thanks to cross-database, B/S, SOA, and multi-end support. As a platform-based enterprise service in the cloud, Kingdee K3 offers a full ecological circle of ERP service to partners and customers alike. Standard– In the standard management mode, more than 1 million customers enjoy best management practices. Kingdee K3 has standard business architecture consisting of an application framework of multiple locations, currencies, organizations, accounting standards, and tax systems. In addition, there are 126 business service components, 624 model elements, 28 standard ERP field models, and 12,167 property combinations for model elements. Social– You also have the ability to build a collaborative and efficient social portal for role-oriented personalized mobile applications and enterprise users. In addition, you can create a work environment that surpasses limitations for time and space specific to users and enterprises. By integrating with Kingdee Cloud Home, it becomes possible to seamlessly integrate online technologies into management. K/3 Cloud Mobile Workflow– As part of this cloud accounting software is the mobile workflow, complete with a reminder for flow approval. This aspect of Kingdee K3 is excellent for maximizing time value, accelerating information flow, improving the efficiency of decision-making, and delving deeper into corporate business. K/3 Cloud Mobile Sales– Sales personnel receive year-round queries for information on sales orders, pricing, customers, inventory, collection payments, and customer credit. With Kingdee K3, you have the ability to track the status of order execution whenever needed. Listed below are a few of the benefits associated with cloud accounting software. Flexibility– By taking a modular approach, Kingdee K3 allows you to choose the most wanted features. Mobility– Used on mobile devices, you can conduct business virtually anywhere. Cost-Efficiency– With Kingdee K3, you save a tremendous amount of time, which saves you money. Reduced IT Costs– With cloud-based software, there is no need to constantly upgrade equipment. Improved Collaboration– Collaborating with your team is easier by adding users to Kingdee K3. Increased Profits– You have better control of accounts receivable using this cloud accounting software. If you are interested in cloud accounting software in Singapore capable of streamlining processes, keeping you in check, reducing the risk of fraud, and letting you know where your business is at any given time, look no further than Kingdee K3. Compared to the competition, this cloud software is beyond exceptional. K/3 Cloud BOS platform is an application platform using an advanced, open and scalable technology system. It provides customers with integrated, efficient, scalable and easy-to-use development tools. Targeting at the fast growth business requirements of enterprises, the platform provides design including BOS IDE, workflows, and business processes. The manufacturing management system provides engineering data management, plan management, production management and subcontract management subsystems, covering core businesses such as BOM management, production schedule, manufacturing order release, completion report, cross-organizational picking and receipt, and subcontract management, and closely links businesses such as sales, purchase and inventory. 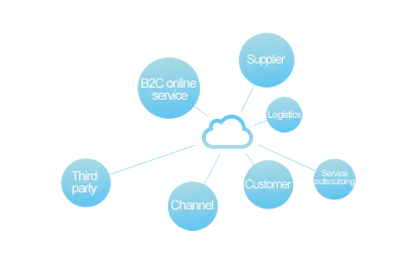 The supply chain management system provides business management functions such as purchase management, sales management and inventory management for purchase, sales and inventory management personnel of enterprises, and comprehensively manages internal and external supply chain businesses of enterprises through effective management and control for information flows, logistics and capital flows in the production, supply and sales links of enterprises. The cost management system provides functions such as accurate product cost accounting and report analysis for the cost accounting personnel of enterprises, carries through the thought of activity cost, and refines cost management of enterprises. The inventory accounting system provides the functions such as purchase receipt accounting, delivery cost accounting, cost adjustment and report analysis. The financial management system provides the complete set of financial management functions such as G/L, report, intelligent accounting platform, A/R and A/P management, collection and payment management, e-bank and consolidated statements for the financial responsible persons and financial department personnel of enterprises. 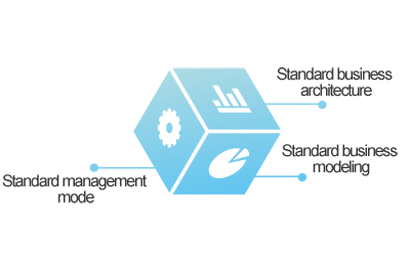 It is closely associated with business systems to provide mass accounting data and report analysis and build a brand-new financial management mode. AWARDED “BEST SME PARTNER 2013″BY ECONOMIC DIGEST MAGAZINE.